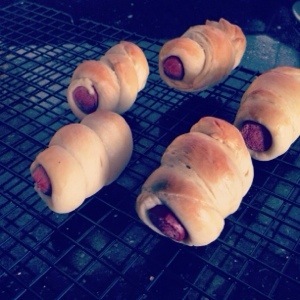 The Pseudo Artisan Baker : Sausage Buns | Eating Aloud! I took a basic yeasty bread dough which I’ve used several times (successfully) and just twisted it around some chicken sausages. A little egg wash to make it look pretty, throw them into the oven, and we have Sunday brunch. The kids love them!